Team SA’s judoka fought their way to the teams’ first AUSC Region 5 Games medals in Gaborone, Botswana, while the netball team beat Malawi. All judo team members, both girls and boys, played very well. They came out top in the preliminaries and maintained the same excellence in the finals, bagging four golds, six silvers and two bronzes for Team SA. 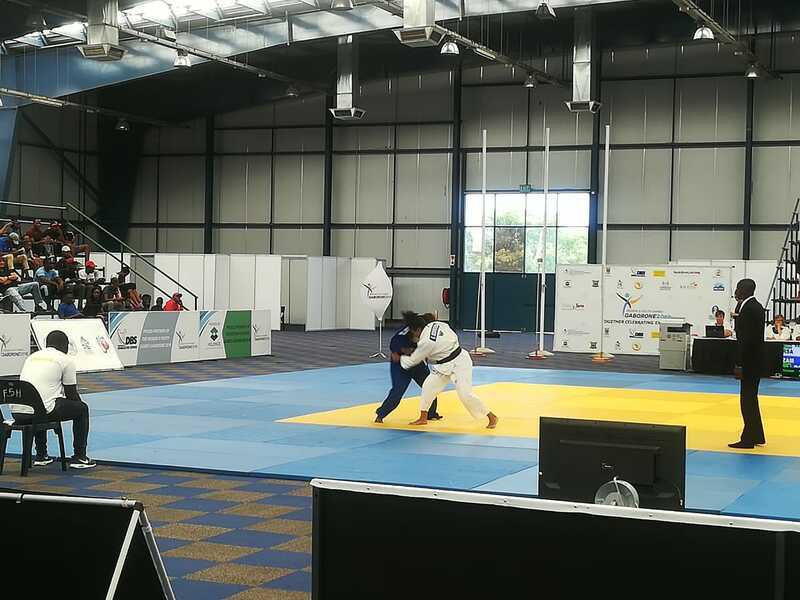 The medal ceremony for Judo will be held on Saturday once all judo events have been completed. Meanwhile, the netball team hit the ground running. They played their first match against Malawi and now lead with a clean win of 48–39. Netball team coach Dumisani Chauke highlighted that some of the players needed this experience and should get better after a few more plays. ‘We were anxious and nervous because we knew that Malawi is a strong team and it was going to be a challenging match,’ said Chauke. ‘I wanted to test the players to see how they cope under pressure, so I set out that we stick to our game plan. Team SA’s netball team play against Zambia on Friday. ‘On Thursday Zambia played a good game against Namibia, so we need to try different tactics and change them every quarter so that we keep our game up,’ concluded Chauke. Unfortunately, Team SA’s football men’s team lost their first match 2-1 against Malawi on Thursday. Tennis also commenced on Thursday and saw Team SA’s Delien Kleinhans win her match against Mozambique. Though she was a bit nervous in the beginning, she settled in and performed well to secure her qualification for the next round. Ntokozo Zungu played a tough match against Zimbabwe, losing all three sets after a brave attempt. Robbie Arends displayed top form and dispatched his Angola opponent in two sets with a scoreline of 6-2 in both sets, while Thando Longwe-Smit also played against Angola and managed to clinch both sets to win his match for Team SA. On Friday Team SA will be in action in five sporting codes, including the basketball and volleyball teams. Boxing and swimming will also commence on Friday, well as athletics.